Waste bag holder 74,00 € tax excl. Square, clip-on stainless steel pan 74,00 € tax excl. Clip-on stainless steel pan 74,00 € tax excl. 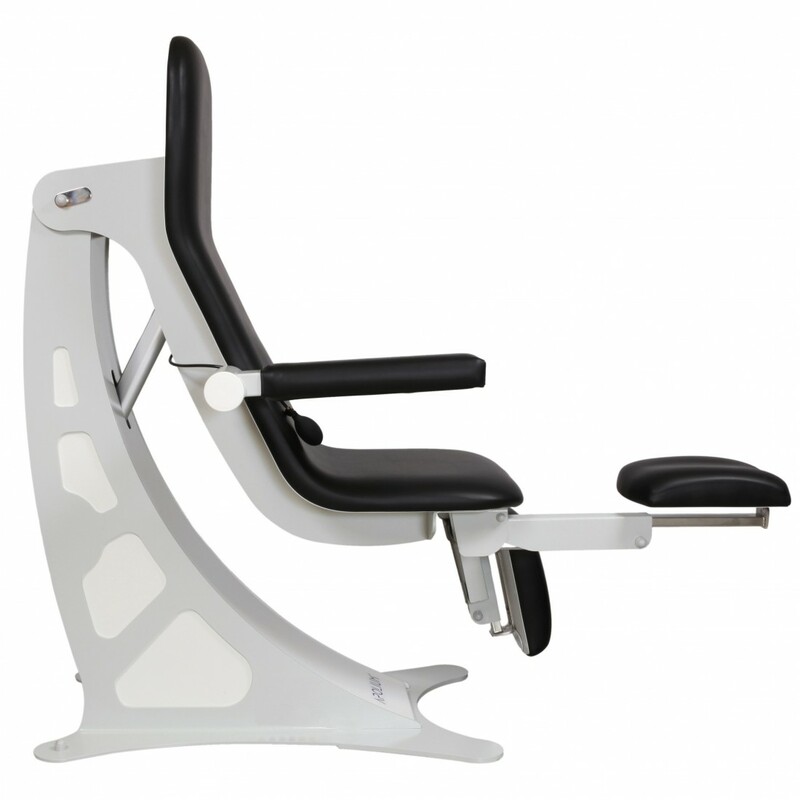 Adjustable he 106,00 € tax excl. Protection Crystal 42,00 € tax excl. Disposable leg protections 15,00 € tax excl. 10 rolls of 20 rubbish bags 32,00 € tax excl. Battery 158,00 € tax excl. 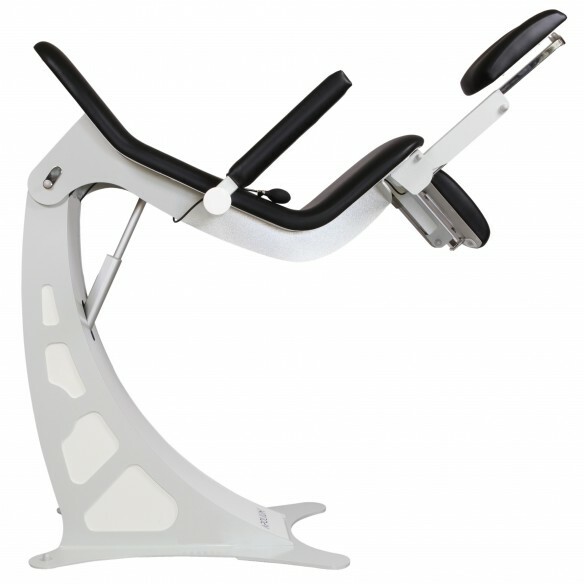 Lumbar support system 83,00 € tax excl. Made in France, Apolium is based on a large observational survey of foot care specialists-podiatrists, Apolium has been designed to adapt seamlessly to your work practice. 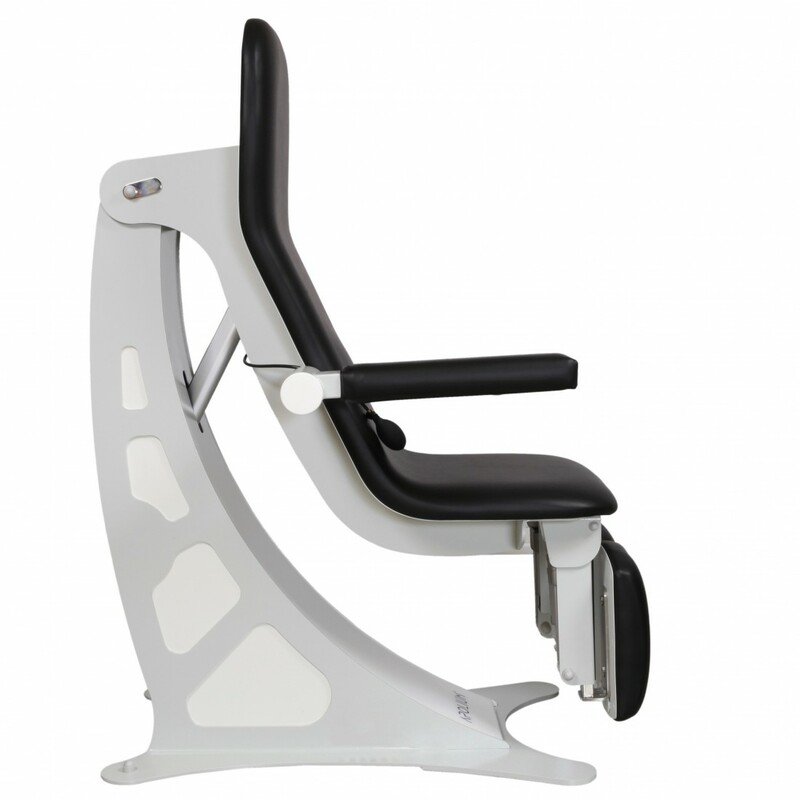 Chair shape studied to provide the human body with the most comfortable natural positioning possible, reducing pressure at surface contacts as far as is possible. Streamlined design that integrates easily into your work surroundings. Ease of accessibility for persons with limited mobility, via the front or side of the chair. Excellent stability in all positions. Bilayer Bodyshape1 upholstery with shape memory that helps the patient to relax. 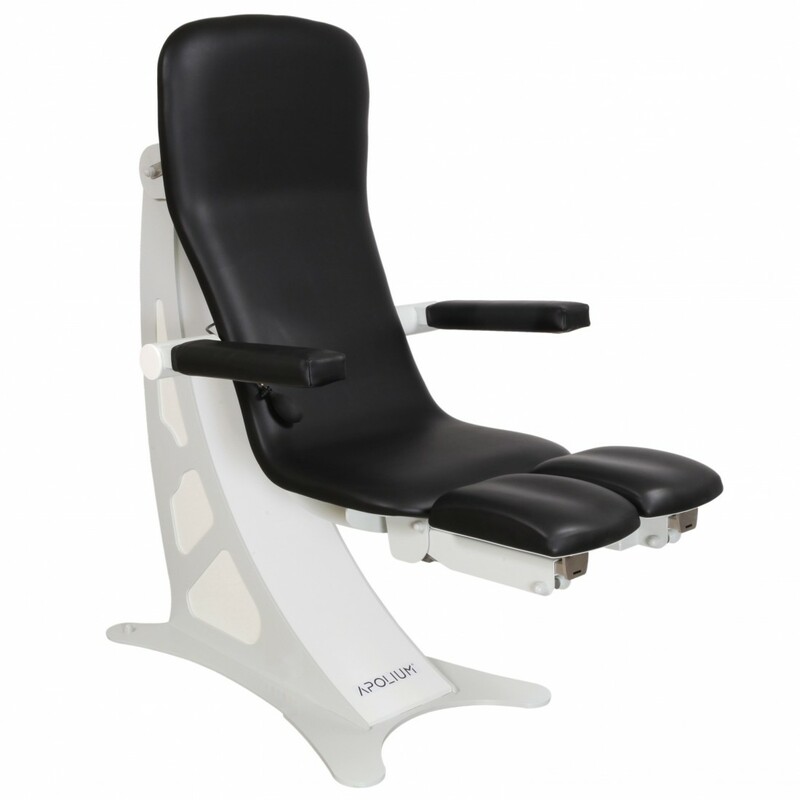 Wireless intuitive foot pedal that allows smooth movement tailored to the patient’s need. Customised programming of your two favourite positions accessed with a single click. Emergency battery (optional) and pan as accessories. Maximum cleaning and maintenance convenience ensured by easy access to all exposed parts, the use of antibacterial and class-M1 fireproof upholstery, together with the appropriate protective accessories. Low position down to 51 cm, high position up to 154 cm. 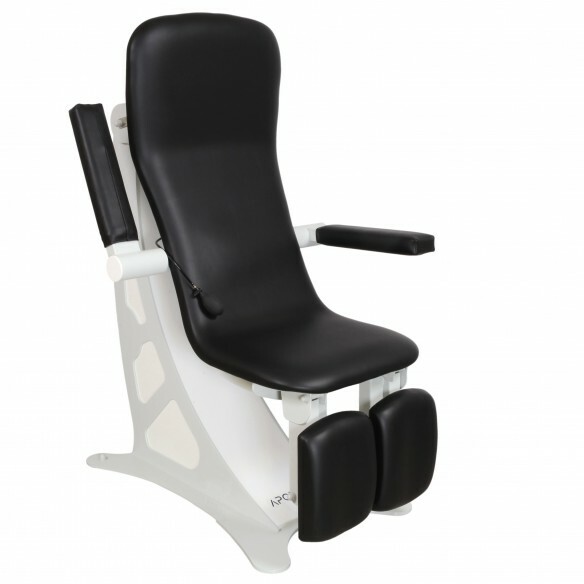 Separate leg rests functional with adjustable depth (+ 20 cm) and spacing. 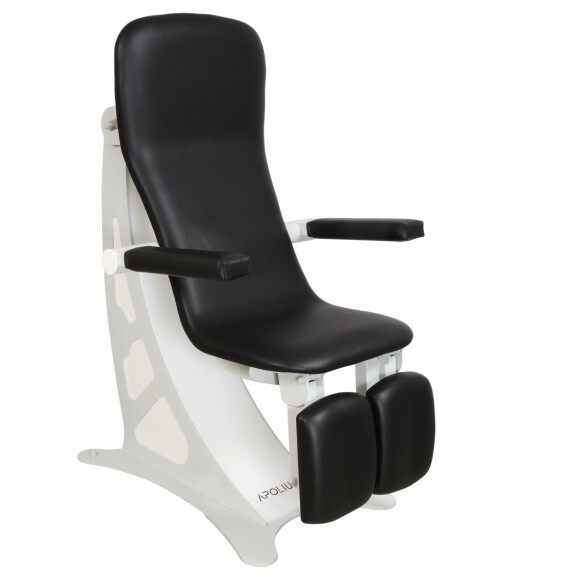 First podiatry chair to be made fully safe with no pinching areas and fitted with a safety sensor. Ergonomic controls: chair height controlled via a wireless intuitive foot pedal with simple adjustment of leg rests. 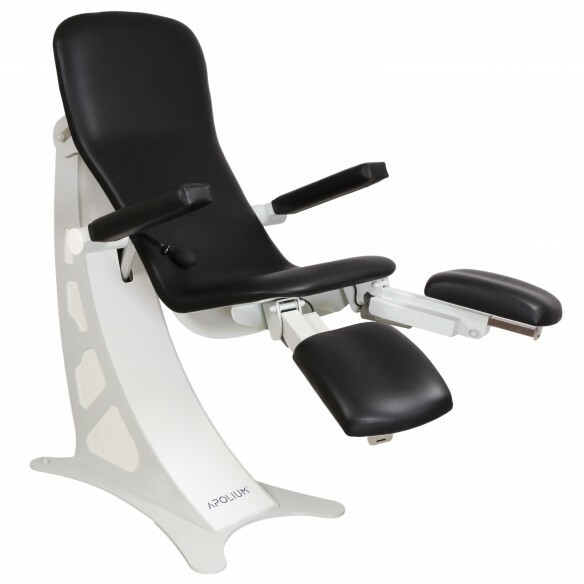 1 Bodyshape: The patient is not repositioned when the chair is raised.